If you love Totoro, No-Face and Princess Mononoke, you won’t want to miss Studio Ghibli Fest 2018 at AMC. This March through November, we’re hosting the awe-inspiring anime series from acclaimed distributor GKIDS and Fathom Events. Studio Ghibli Fest 2018 will feature some of the most-adored anime movies from one of the most-celebrated animation studios in the world. Fans can see both subtitled and dubbed versions of each film, which will have three showings. Find out which of your favorite stories and characters are coming back to the big screen, and get your advanced tickets today. Ponyo is no ordinary goldfish. 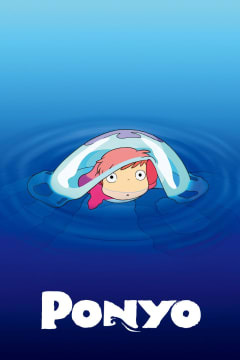 The daughter of a masterful wizard and a sea goddess, Ponyo uses her father's magic to transform herself into a young girl and quickly falls in love with 5- year-old Sosuke, but the use of such powerful sorcery causes a dangerous imbalance in the world. Cate Blanchett, Matt Damon and Liam Neeson voice the bubbly characters. In this sequel to WHISPER OF THE HEART, quiet suburban schoolgirl Haru is pitched into a fantastical feline world and involuntarily engaged to a cat prince. With the assistance of a fat, grouchy real cat and a dapper cat statuette come to life, she must find her inner strength to make her way back home. 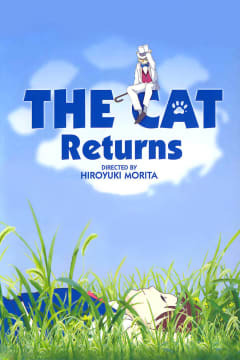 THE CAT RETURNS stars Anne Hathaway as Haru and features Cary Elwes, Peter Boyle, Tim Curry, Elliot Gould and Kristen Bell as her four-legged friends. This unsung treasure from Academy Award®-winning director Hayao Miyazaki nestles a tale of morality and identity inside an exhilarating airborne adventure — a tribute to early aviation and the reckless flyboys whose home was the open sky. 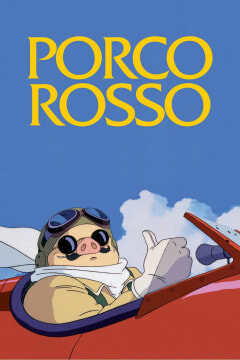 Michael Keaton voices the former Ace Porco Rosso; Cary Elwes, Susan Egan, Brad Garrett and Kimberly Williams-Paisley fly alongside. In this brilliant and often overlooked Studio Ghibli masterpiece from Academy Award®-nominated filmmaker Isao Takahata, the forests are filled with groups of magical tanuki, mischievous raccoon-like animals from Japanese folklore that are capable of shape-shifting from their standard form to practically any object — even humans. 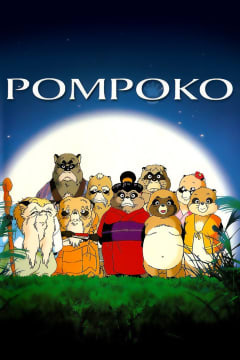 Olivia d'Abo and Brian Posehn lend their voice talents as the lovable tanukis Koharu and Hayashi. Inflicted with a deadly curse, the young warrior Ashitaka heads west in search of a cure. There, he stumbles into bitter conflict between Lady Eboshi, the proud people of Iron Town and the enigmatic Princess Mononoke, who will stop at nothing to prevent the humans from destroying her home and all who live there. 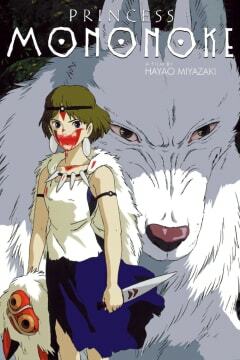 PRINCESS MONONOKE is voiced by an all-star cast, including Gillian Anderson, Billy Crudup, Claire Danes, Minnie Driver, Jada Pinkett Smith and Billy Bob Thornton. 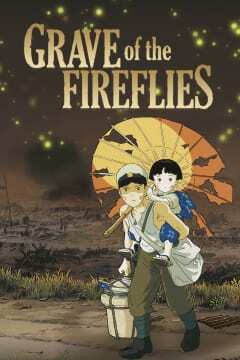 Based on the retellings of survivor Nosaka Akiyuki, GRAVE OF THE FIREFLIES chronicles the story of Seita and Satsuko, two young Japanese siblings living in the declining days of World War II. When an American firebombing separates the children from their parents, the two siblings must rely completely on one another while they struggle to fight for their survival. Now digitally remastered and restored, GRAVE OF THE FIREFLIES is one of the rare films that truly deserves to be called a masterpiece. Two young girls, Satsuki and her younger sister, Mei, move into a house in the country with their father to be closer to their hospitalized mother. They soon discover that the house and nearby woods are full of strange and delightful creatures, including a gigantic but gentle forest spirit called Totoro, who can only be seen by children. 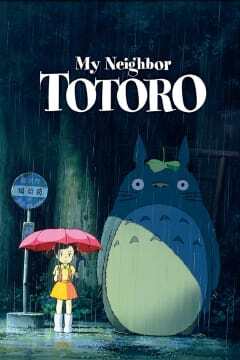 Based on Hayao Miyazaki’s own childhood imaginings, MY NEIGHBOR TOTORO is one of the most endearing and internationally renowned films of all time, a film that Roger Ebert called “one of the five best movies” ever made for children. 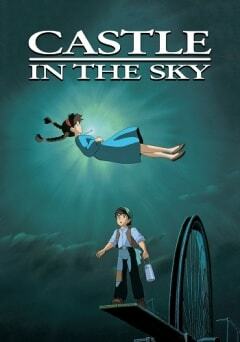 Wandering through an abandoned carnival site, 10-year-old Chichiro is separated from her parents and stumbles into a spirit world where she is put to work. Here she encounters impossibly inventive characters and must find the inner strength to outsmart her captors and return to her family. 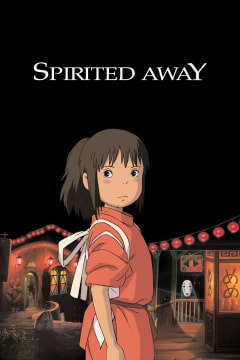 Hayao Miyazaki’s Oscar®-winning masterpiece, SPIRITED AWAY, was the biggest box office hit of all time in Japan and a film that helped redefine the possibilities of animation for American audiences and a generation of new filmmakers. This high-flying adventure begins when Pazu, an engineer’s apprentice, spies a young girl, Sheeta, floating down from the sky, held aloft by a glowing pendant. Both Sheeta and Pazu are searching for the legendary floating castle, Laputa. They vow to travel there together to unravel the mystery of the luminous crystal, but pirates and foreign agents aren’t far behind. Anna Paquin and James Van Der Beek star with Cloris Leachman, Mark Hamill and Mandy Patinkin. Don’t miss your favorite anime stories and characters back on the big screen. Get your advanced tickets to Studio Ghibli Fest 2018 at AMC today.